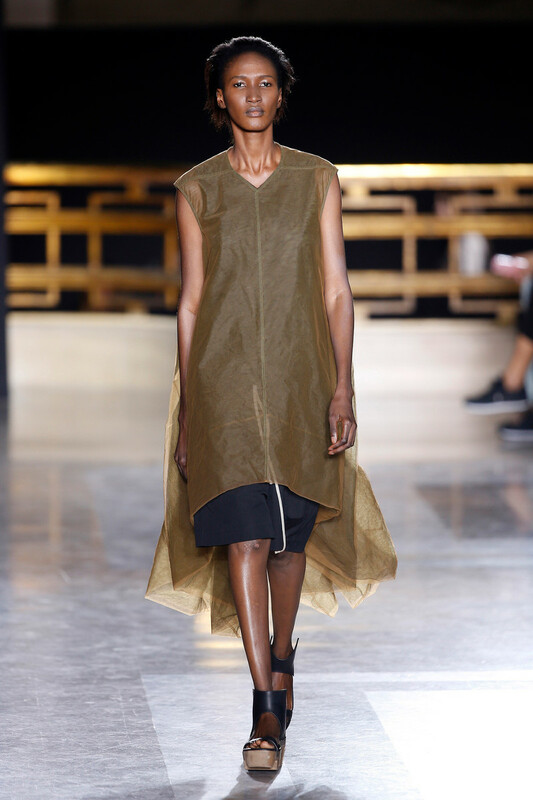 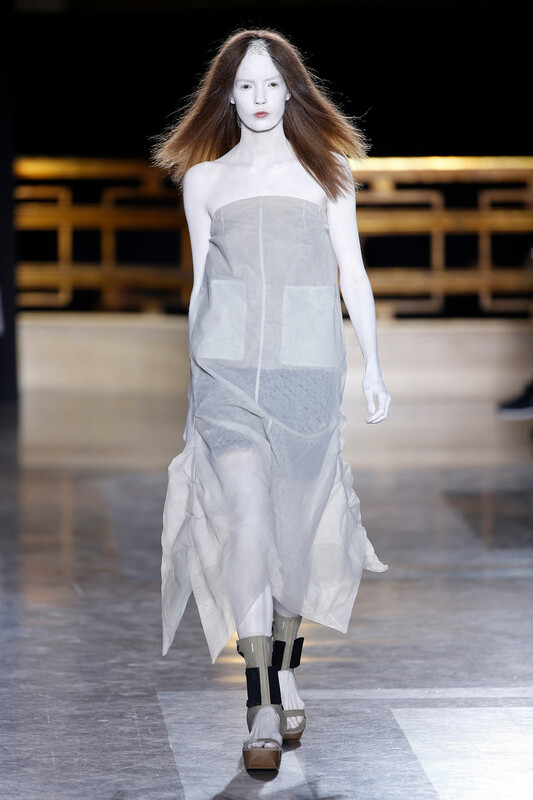 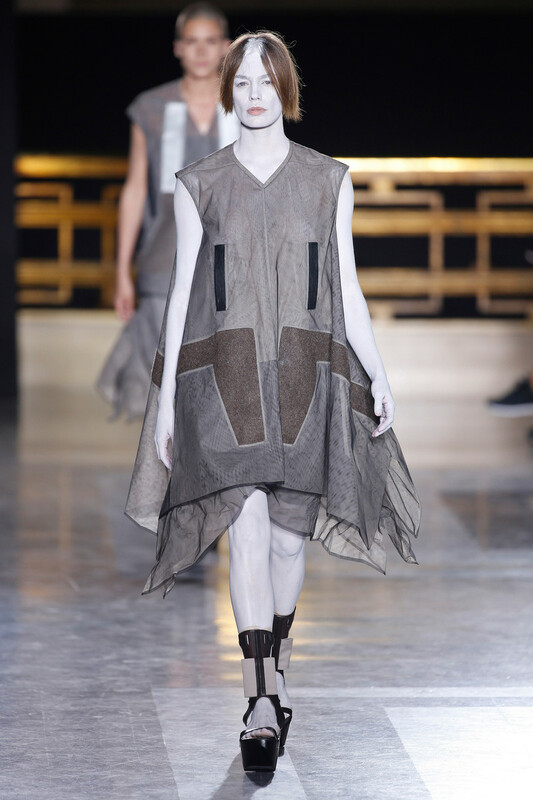 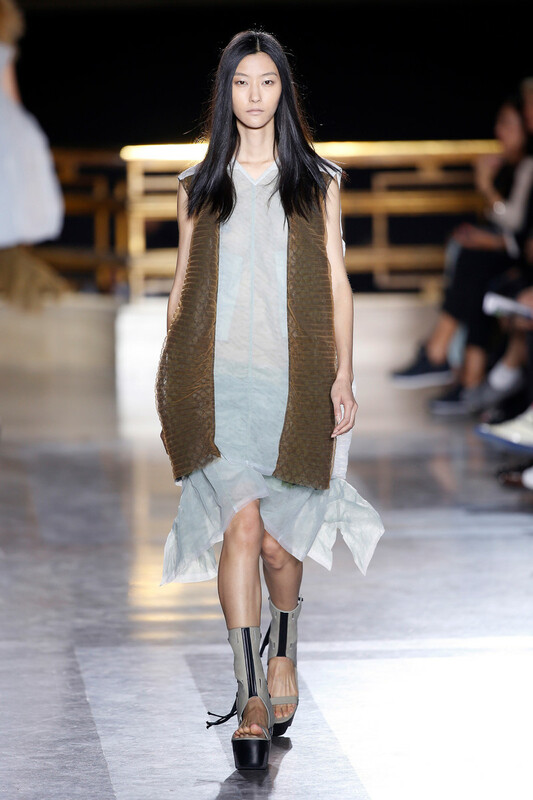 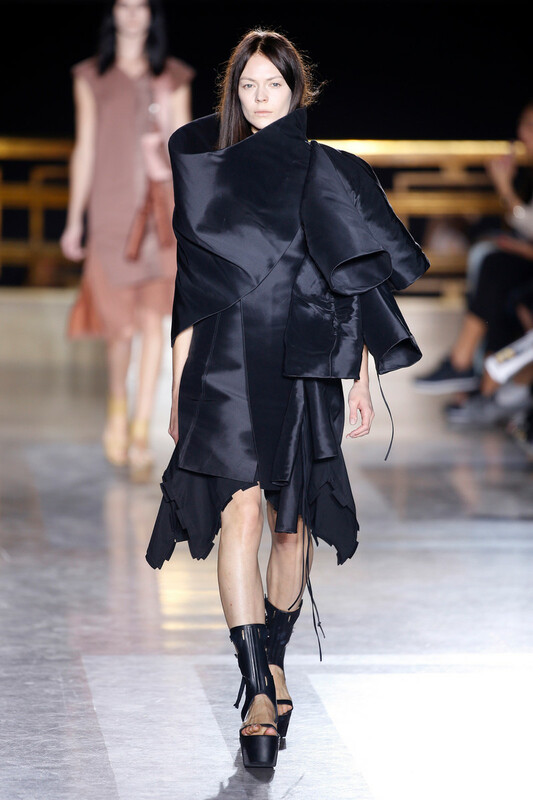 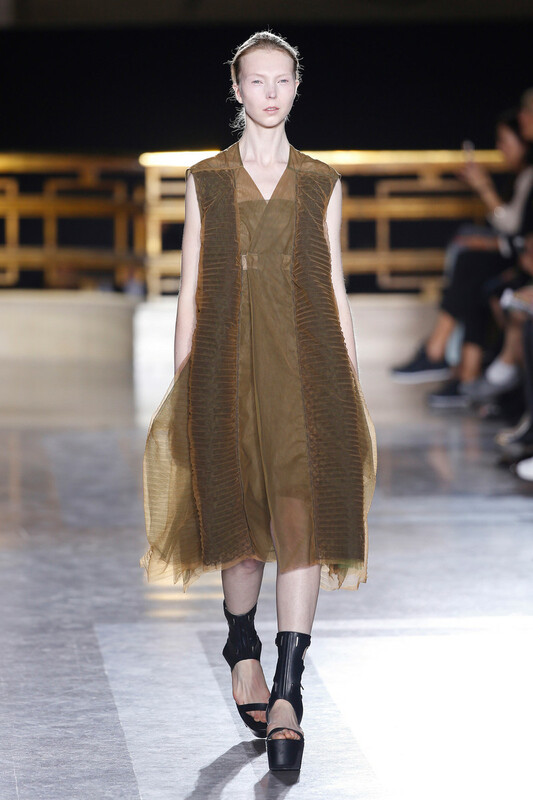 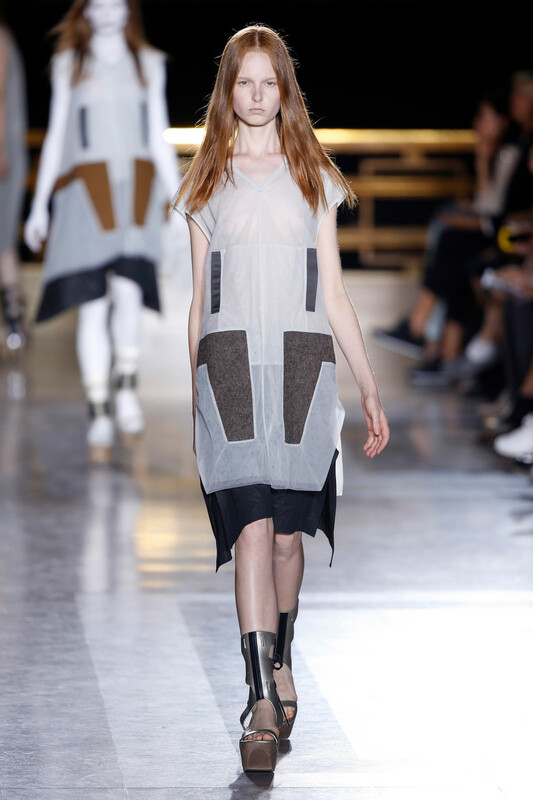 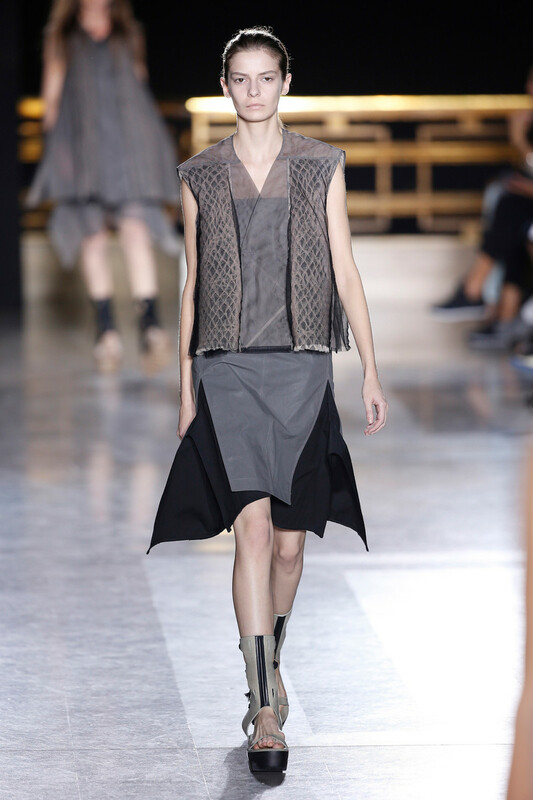 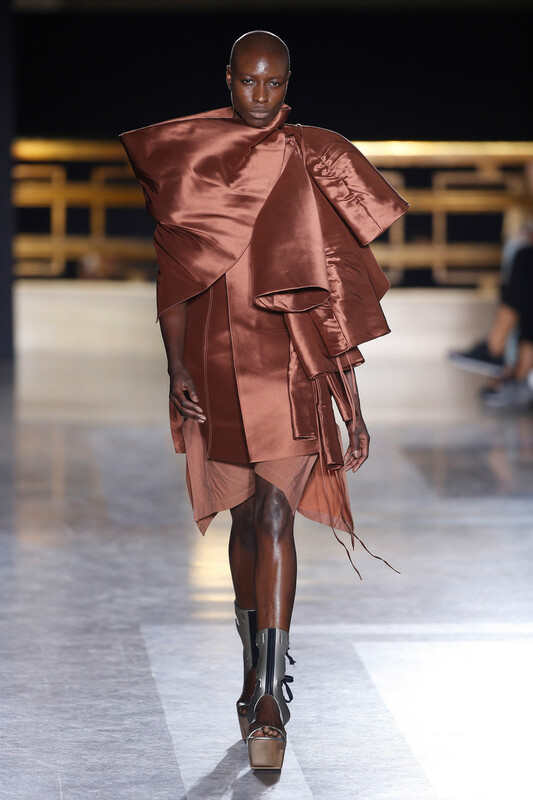 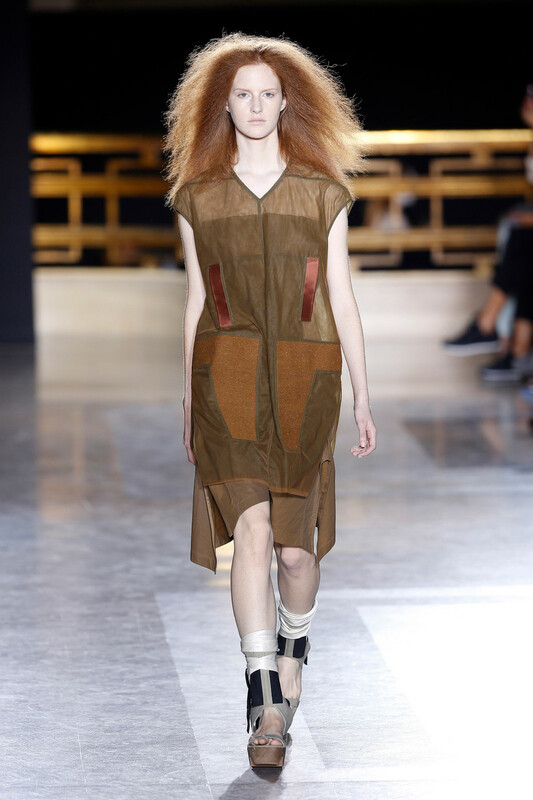 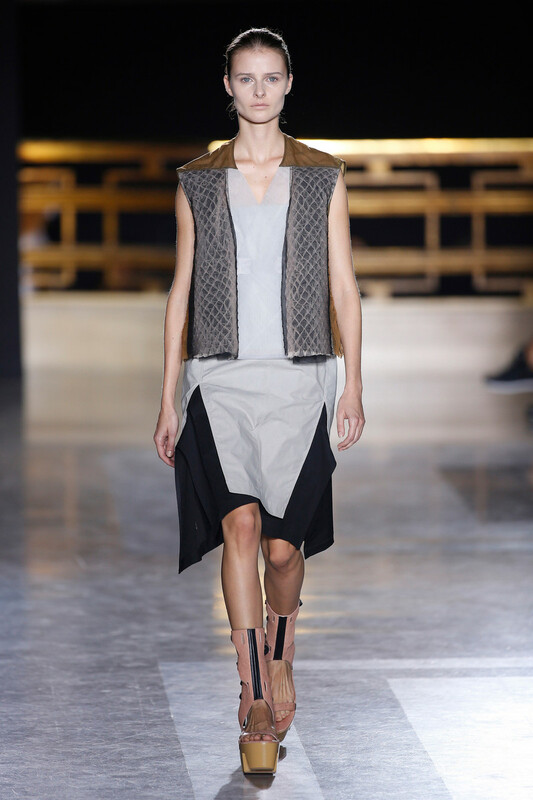 Surprisingly light was the show Rick Owens presented us with this week. 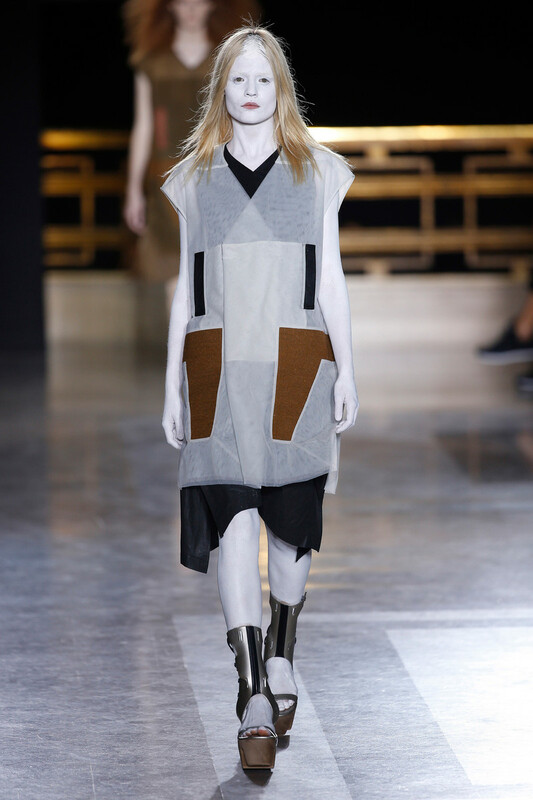 It was (almost) out with the black and in with the ‘colors’. 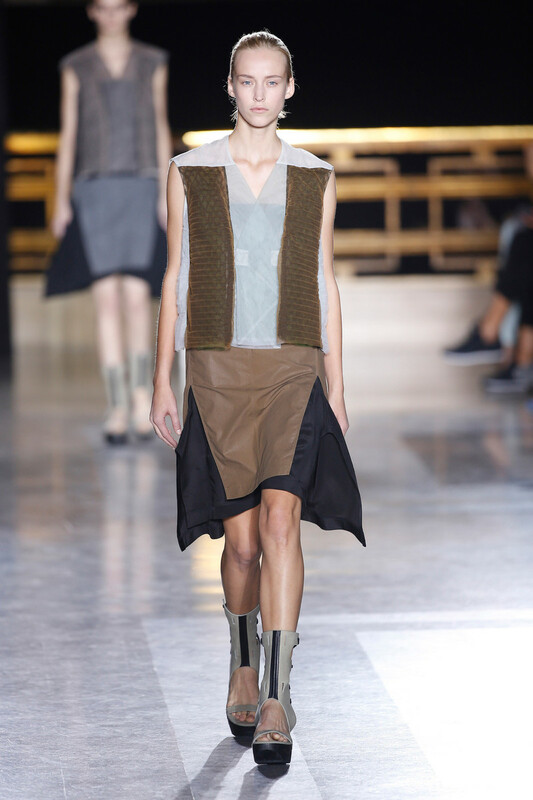 And even though it was just khaki, sand tones and shades of grey, in Owens’ world those are true colors. 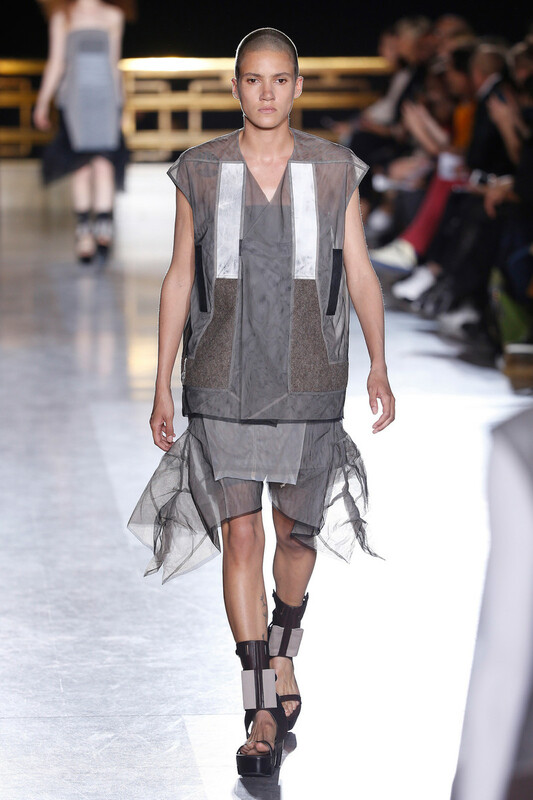 He used them on his remarkable amount of dresses (structured, strapless, sheer, asymmetrical and printed). 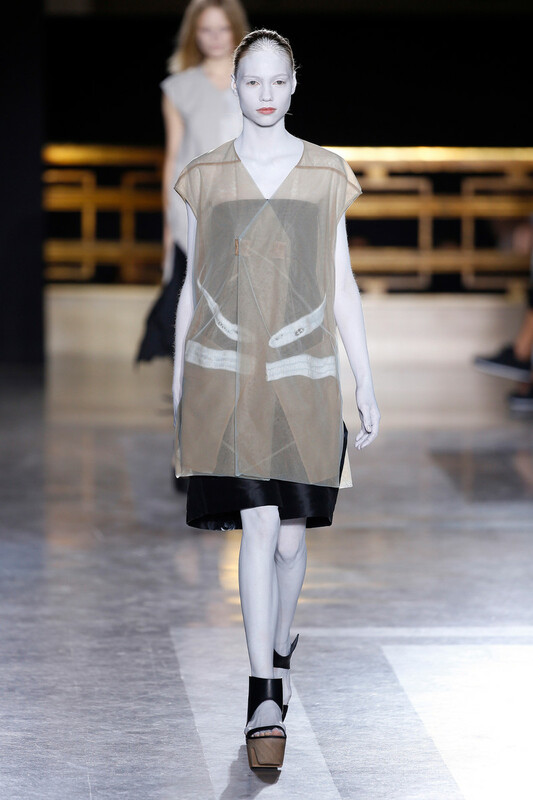 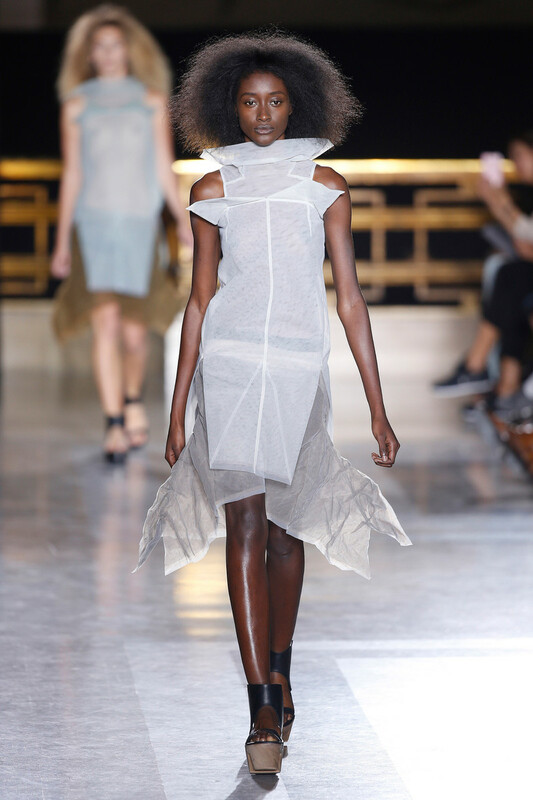 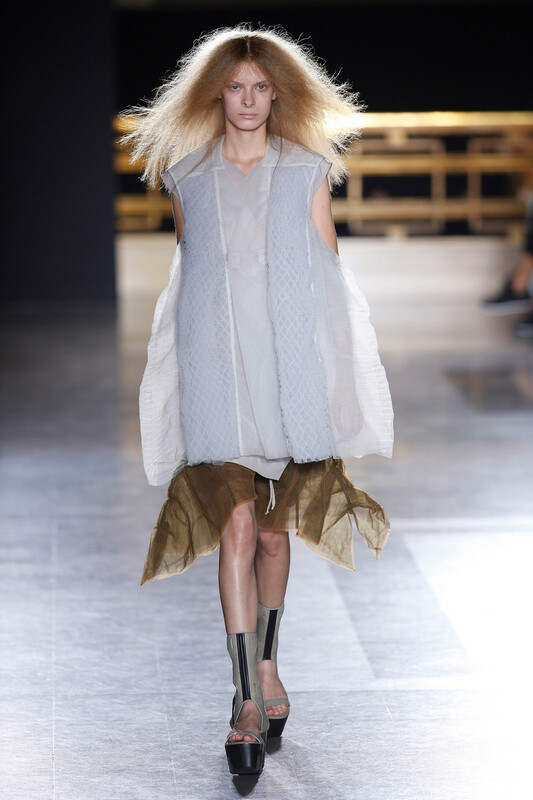 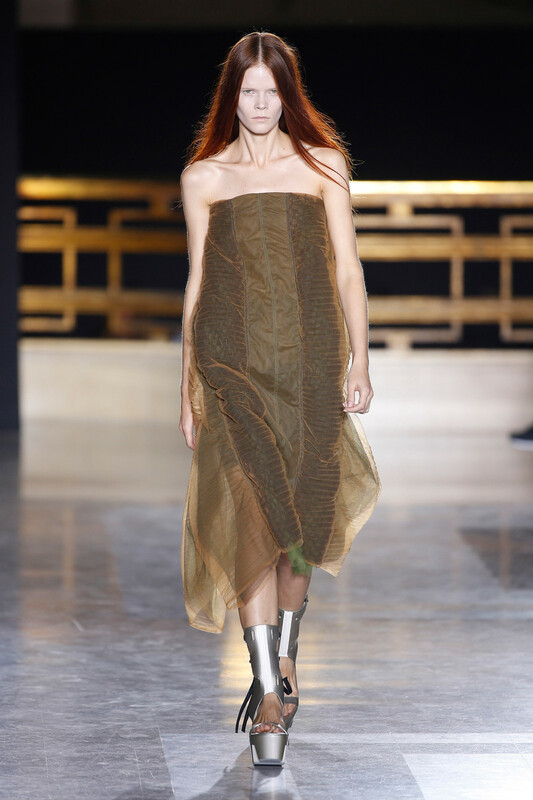 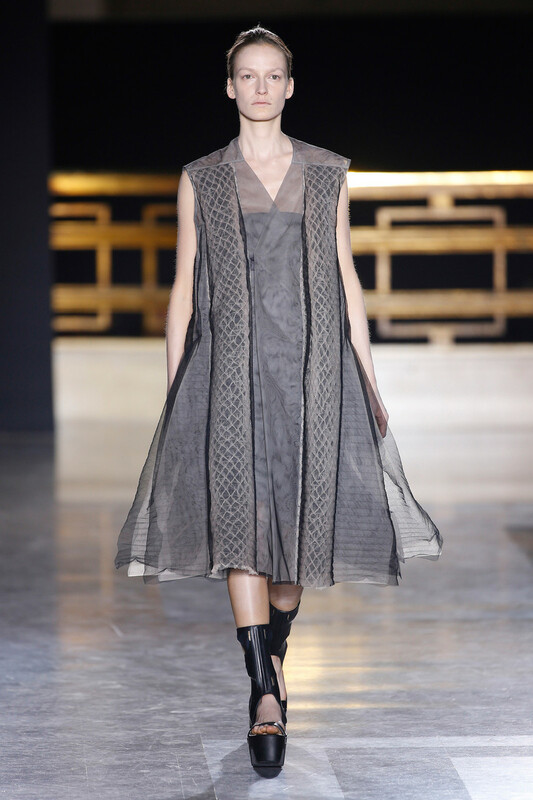 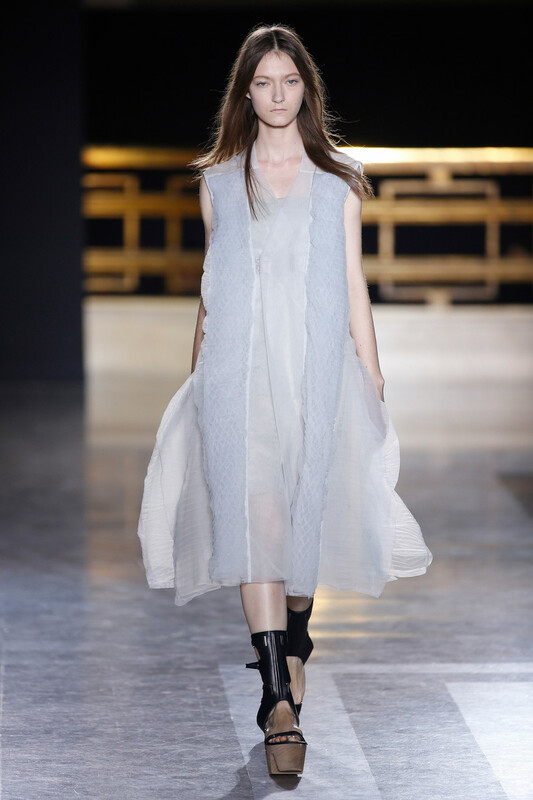 Dresses made out of a mix of materials, both heavy and airy that almost appeared elegant. 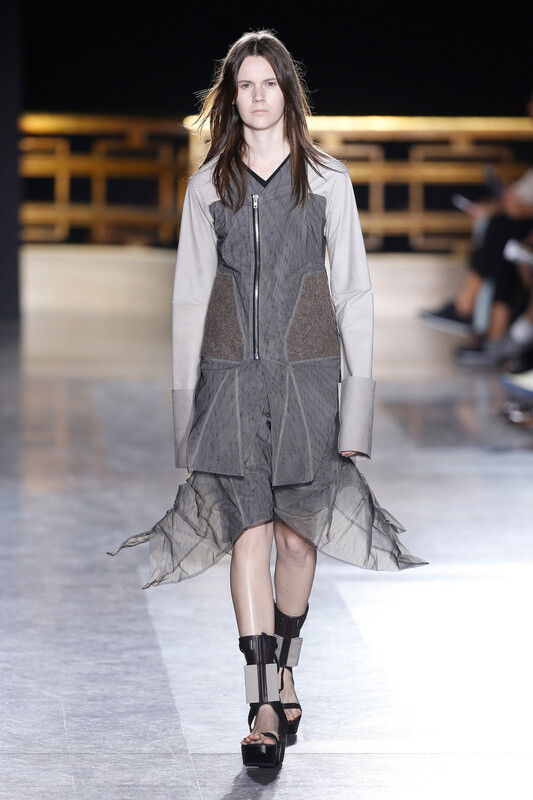 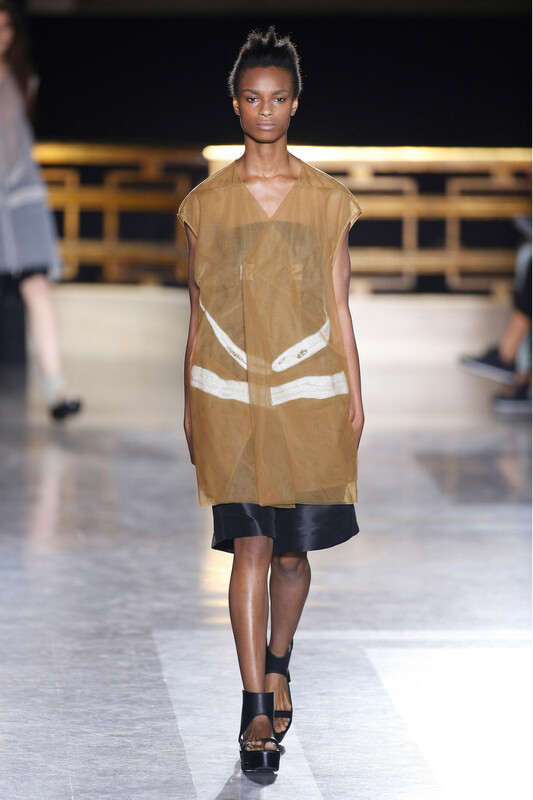 But even though Owens is showing us this new side of hem, there were still enough signature details (white painted faces, heavy cloglike footwear) to make it a signature and tough Owens collection.